This day marks the beginning of the only ten days of summer I love! I am a snow-bunny at heart. So when the days stretch longer and the sun over heats the earth I run for cover, better known as indoor air conditioning. The activities of summer are fun, the vistas are brighter but the heat melts me, which in turn, makes me cranky. I was born during one of Nebraska’s infamous heat waves. My mother tells of how she thought it was far too hot in our house when I came home from the hospital and she promptly moved my bassinet to a prime location, in front of the window air conditioner, where I would slumber peacefully with nary a bead of sweat on my soft baby skin. I believe my love affair with A/C started right then and there. So from my first moments till now I have had a tumultuous relationship with warm weather. Back to why I love these next ten days of summer…. Nebraska has some very strict laws about fireworks, what we can and cannot light off. So we also have a time frame of when we can send fireballs of sparks soaring to the heavens. 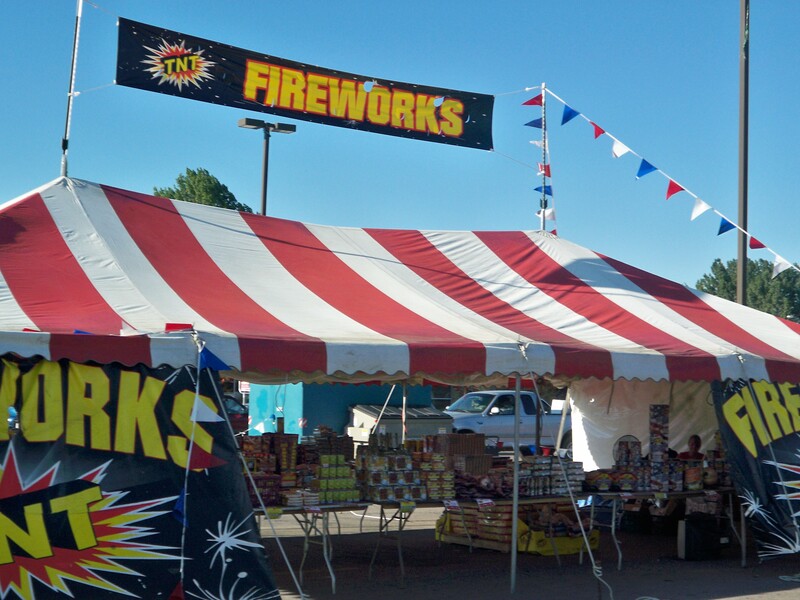 Today marks the beginning of the selling season for fireworks! Little tents have popped up all over the state. Most of these temporary houses of splendor are decked out in red, white and blue. 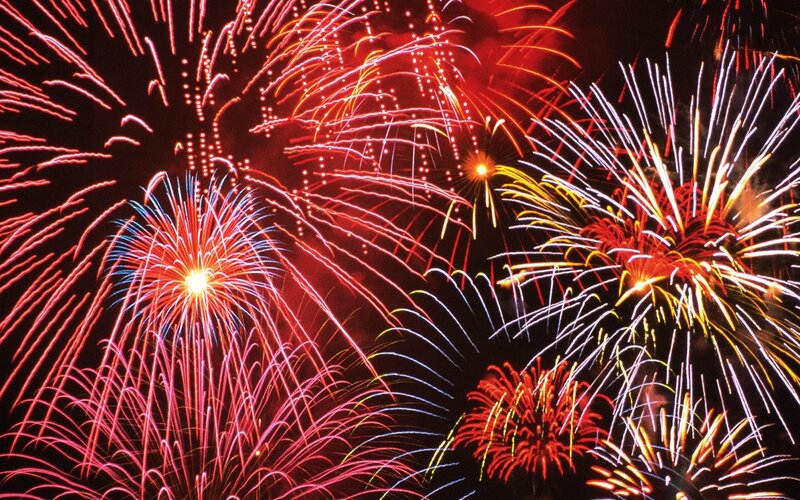 With banners beckoning you to stop and spend all of your hard earned money on piles of sparklers, fountains of bursting lights and screaming smoke balls. Parents slink by the stands praying their beloved little ones don’t notice the new structures that hold untold curiosities. Teenagers flock to spend their fortunes on five second displays. I, will spend time investigating the new fun just like every year. I go into numerous tents, comparing prices, comparing quality, talking with the vendors. This is the holiday that helps me “survive” the summer, one magical evening of fireworks. The Fourth of July was the pinnacle of the summer for me as a child. Our family always spent the holiday in the country with family. Our families’ Independence Day celebrations were known across the community as the best gathering in a tri county area. Neighbors would start gathering just after the children got up from their naps. The farmers would come in early from the fields to scrub up and join in for the picnic. I remember us kids running off to plan skits to perform for the “older” adults. The food would sway the rows of tables. It was a the start of a seemingly unending night. Everyone brought fireworks to share and display. We took turns lighting one spectacular explosion after another until the smallest of the children fell asleep in a grandparents arms and had to be carried to bed. Memories like those can not be imagined they must be experienced. So to gleefully mark the beginning of 2014 fireworks season I will stop in to the first open tent I see and let my sense of smell take me down memory lane to my favorite 2nd favorite holiday!